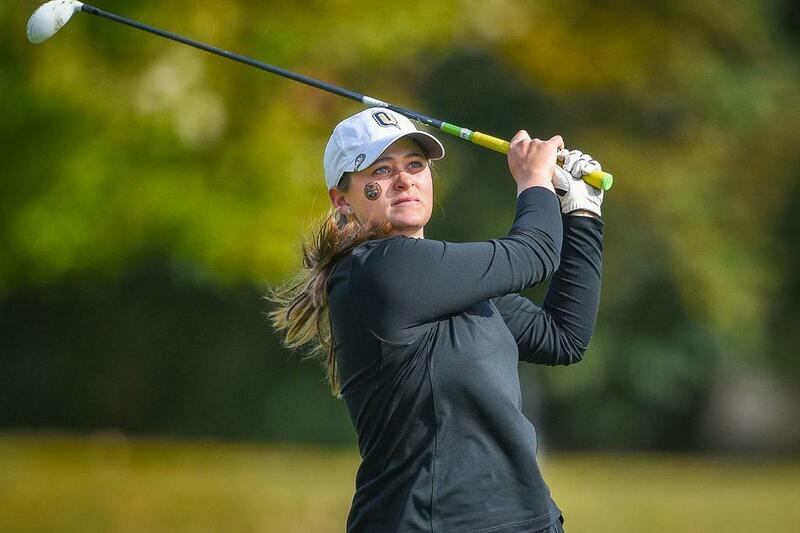 The Quinnipiac Bobcats women’s golf team hosted the annual Quinnipiac Classic at TPC River Highlands earlier this week and placed fourth out of six teams. Sophomore Nicole Scola posted the lowest score for the Bobcats, and she also had the best round out of all the golfers in the field. The starting five for Quinnipiac was made up of freshman Estefania Morales, juniors Alexa Gentile and Jenn Whaley, and Emily Ribbins in addition to Scola. Scola posted a 73 both days to shoot +6 for the tournament. Ribbins also had a solid outing shooting a collective 24 over par, which was the ninth best score of the field. Despite those performances, the Bobcats weren’t able to match the scores of Fairfield, Hartford and Albany on day one. Fairfield led all teams by seven strokes heading into Tuesday, and eventually hung on for the win. Day one for the Bobcats was a frustrating one. The weather was not kind to anyone on the course, and the greens were rock solid for the majority of the morning. The start of the round was delayed due to frost, and even though the frost went away the stiffness of the course remained. Very few of the players were able to get their balls to stick on the green. Balls were sailing over the back fringe of the 10th green all day long, and that didn’t bode well for golfers, as they had to chip on to the unforgiving downslope. It wasn’t just the 10th hole either; holes 13, 16 and 17 also gave the Bobcats fits. The Bobcats had a hard time reading the speed of the greens on their home course, and it put them 17 strokes behind Fairfield after Monday’s round. Much to Quinnipiac’s pleasure, the weather warmed up a bit for the final round on Tuesday. Scola birdied four holes, and Ribbins added two of her own. As a team the Bobcats logged a score of 328, which was tied with Albany for the top score of day two. Despite the solid day, it wasn’t enough to make a comeback. Quinnipiac was unable to move up from their position. However, finishing the season with a good round is always a plus, and the Bobcats walked away from the course with that on their minds. Quinnipiac entered their other five golfers as a sixth team this week. That team was comprised of freshman Devan McCarrie, sophomore Emily Kata, junior Taylor Lambrou, and seniors Angelica Muscatelli and Jessica Rotell. Lambrou had the low score of the tournament for her team with a +38. She also had the only birdie of the second round, while Kata had their only birdie of round one. The B team combined for a score of 750. This cold tournament marked the end of their fall season, and there are a few things to take away from it. Scola had the best tournament out of the entire field by far, which shows signs of a bright future. Additionally, Ribbins and Morales can contribute to the future of their team with their youth and consistent play. Another strong sign moving forward is that the Bobcats had a strong spring season last year. Head coach John O’Connor will look to get his team ready to make another run at the MAAC Championship, where they placed second last season. With that in mind, they’ll put the fall season behind them and do what they can to prepare for 2015, which kicks off in March.